Welcome to UKPollingReport. The site is a regular blog about opinion polls and public opinion, plus an archive of past voting intention polls and a guide and gazetteer to Parliamentary constituencies and recent election results. It was founded at the beginning of 2005. It is run by myself, Anthony Wells. I don't have a team of people to help me, any web designers or techy people (other than my ever-patient hosts - PC Smart Hosting), so forgive the occasional design glitches and unforgivable delays in getting things updated. In my full time job I am Research Director of YouGov's political and social opinion polling department, but UKPollingReport is independent of YouGov, owned and run by me in my spare time - the views here are mine alone, and don't represent those of YouGov. For corrections and amendments to the website, then unless it is urgent its better to leave a comment at http://ukpollingreport.co.uk/2015guide/corrections/, so I keep track of things that need doing. 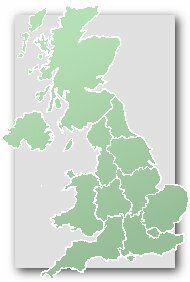 A note about Parliamentary Candidates: I've started to add on 2015 Parliamentary candidates to the constituency pages. There were about 4000 at the last election, so with the best will in the world I'm never going to be able to add them all, so I'm attempting to prioritise rather better than in 2010. I'm going to update in batches, not in little piecemeal chunks, and I'll be prioritising the candidates from main parties in marginal seats. Note also that I'm not keeping track of the reselection of sitting MPs - I'll just add those who aren't retiring to their candidate lists come close of nominations in April 2015. If you are a candidate or their representative who wants something correcting leave a comment on the corrections page, or contact me directly if it's urgent. If you would like candidate details adding, please be patient - I'm working through as many as I can in priority order, and hopefully I'll get to you in due course. Feel free to leave details on the corrections page - I can't promise I'll get to you any sooner, but it saves me looking up details when I get to you. For clarity, the details I include are year of birth, place of birth, secondary school and undergraduate university attended, primary career, if someone has been a county, unitary or district councillor (NOT parish) and past Parliamentary candidacies. I do not normally report where people live, where they grew up, if they are married or have children, hobbies, charity work and how committed and hard working they are - the biogs here are intended as bare, dispassionate facts, not advertisements. Could you give me the date it was published, please? thank you for creating this interesting blog. It is also great guide and resource. to the coming GE. I wondered if you would consider opening a thread/section on GE turnout? The son of a trade union leader, Christopher Gillibrand graduated from Oxford with a degree in chemistry. He also has an MBA from the University of Greenwich. Widely travelled in Europe, he lived for ten years in Brussels and has direct experience of the EU at work. By profession, he is a translator, running his own small business. He has also worked in the chemical, pharmaceutical and energy sectors. His hobby is book collecting.